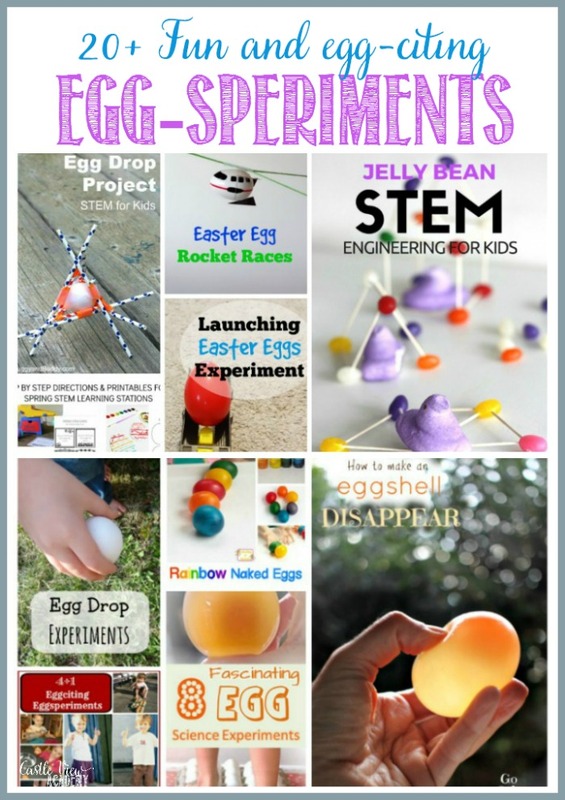 Spring is in the air and the tulips are in bloom; what better time is there to get outdoors on a dry day (or stay indoors if you have a bout of April showers) and do some science and engineering egg-speriments with the kids? Eggs are often in abundance at this time of year, so it’s a great time to buy a dozen or 5 and learn about the way the world works. 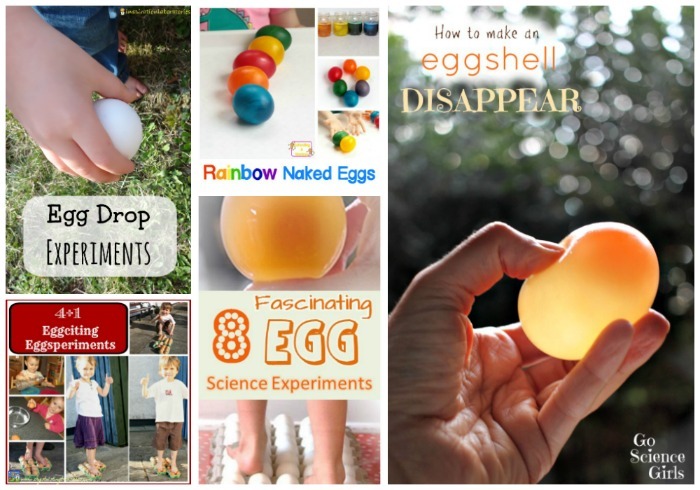 To help you along, here are 20 fun and egg-citing egg experiments and engineering projects for kids. 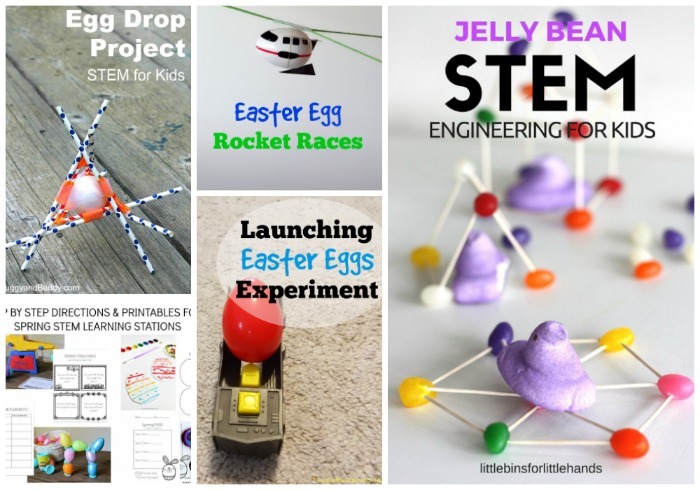 I’ve collaborated with the members of the Kid Blogger Network to bring you the best STEM egg projects in the kid blogger’s world so you’re sure to have lots of fun while your children are learning! It was just on the BBC news last week that kids should be taught to think more creatively as there is a shortage of engineers. Let’s start our children off on the right foot and show them just how fun engineering can be! 1 – Buggy and Buddy share their egg drop project, Dad looks like he’s having the most fun! 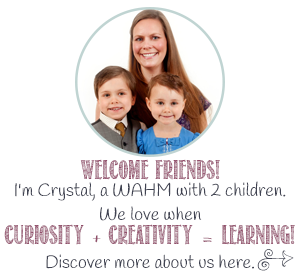 2 – The Educator’s Spin On It shares 4 Spring Stem Learning Stations, with printables. 3 – Children will have an egg-celent time having Easter Egg Rocket Races from Inspiration Laboratories. 4 – Inspiration Laboratories have fun Launching Easter Eggs of different masses and measuring the distance they travel. 5 – Little Bins For Little Hands creates interesting structures from jelly beans and peeps. Who knew there were so many ways that the simple egg could be used and manipulated in the name of childhood science? It’s fantastic! 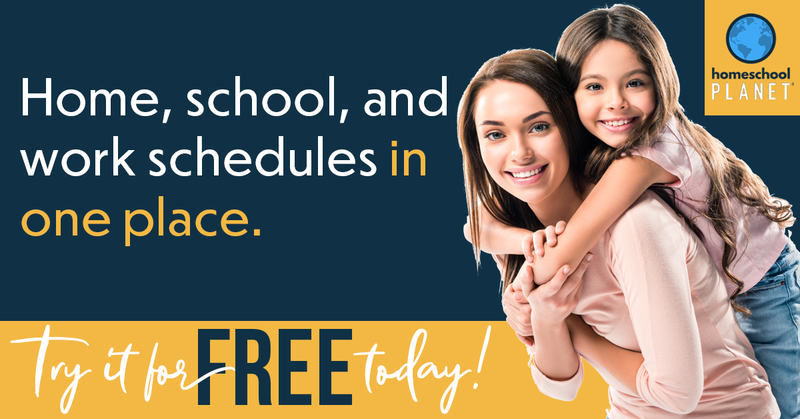 Eggs are easily, affordable, and have the opportunity to create hours of interest and fun for kids (in addition to learning – bonus)! 6 – Inspiration Laboratories share their version of the Egg Drop Experiment, check out their results. 7 – 4 Eggciting Eggsperiments that we’ve tried out ourselves. 8 – Schooling a Monkey brings a rainbow of colour to their rubber eggs science project. 9 – 8 Fascinating Egg Science Experiments by iGame Mom, such as what happens when you crack an egg under water. 10 -Learn how to peel a raw egg by making its shell disappear with Go Science Girls.